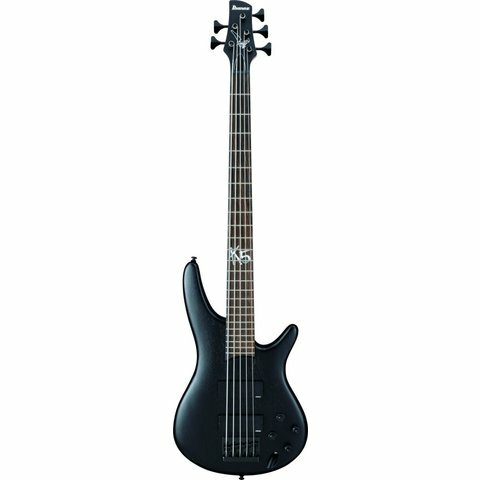 The Ibanez signature series bass of Reggie "Fieldy" Arvizu, bassist for Korn. Fieldy's K5 features a tough and durable 5-piece maple/bubinga neck. A Vari-mid EQ with sweepable midrange allows you to dial in various bass sound, including Fieldy's preference of no midrange at all.